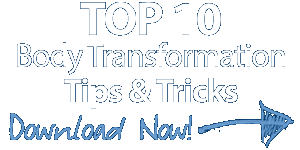 Grab Our Top 10 Body Transformation Tips & Tricks ... for FREE! Steve has been the Editor-in-Chief of Iron Man magazine for 25 years. Becky has been a nutrition/lifestyle contributor to Iron Man for 10 years. Our latest creation is Old School New Body, the F4X Youth-Enhancing, Bodyshaping System for men and women.